natural disasters strike, these memories are often the first personal items to be protected or sought by families. marriage. 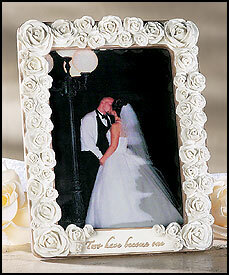 Browse our unique selection of wedding photo frames for the right frame to hold a precious memory. $24.95 Free Ground Shipping Within The US! 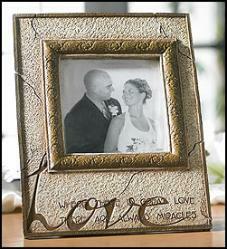 Two Have Become One Wedding Photo Frame. Resin. 7"X9" high. Holds 5"x7" photo. Regular ground shipping charges included in price. 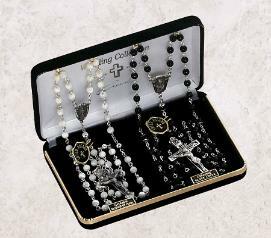 *Discontinued* "Where there is great love, there are always miracles." 7 1/2" Wide x 9 1/2" High, holds a 4 1/2" Square Photo. Resin/ Glass. Makes a great wedding photo frame. 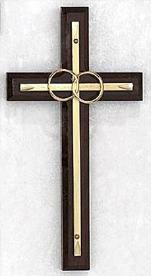 Wedding Gift Idea - Catholic Wedding Cross > Wedding Photo Frame (you are here). if you Prefer. It's Quick & Easy! See Instructions During Checkout.